Think about how much food is wasted in a grocery store every time a thunderstorm interrupts a spring or summer holiday. All that extra meat and salad prepped in store freezers is left to go bad as people ditch their barbecue plans for indoor alternatives. But what if grocery stores could use weather reports to tweak their supply chain decisions on-the-fly, ensuring that food is kept in warehouses until it’s needed? Sainsbury’s, a popular British grocery chain, is doing just that. The grocery chain’s multi-million dollar in-house supply chain prediction system allows the company to react appropriately when unexpected weather is predicted to wreak havoc on holidays and other major outdoor events. According to BusinessGreen, Sainsbury’s technology could reduce food waste by 15% during unexpected weather events and reduce its carbon footprint by 1,400 tons. It’s a simple, logical way to cut down on waste while adapting to customer needs. 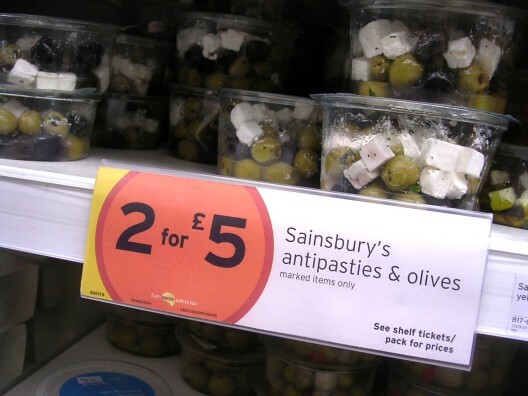 This isn’t Sainsbury’s first foray into sustainable innovations. The chain has also opened people-powered checkout lines, adopted a two-sided customer receipt system (why don’t all grocery stores do this? ), and started selling tomatoes in cartons in an attempt to cut down on packaging.